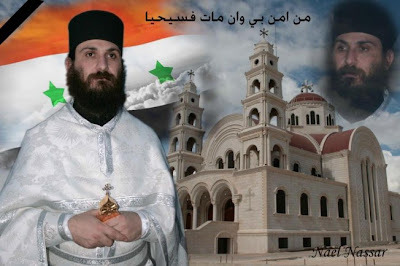 On January 25, 2012 Greek Orthodox Hieromonk Basilios Nassar was shot by an armed terrorist group in Hama, Syria on the second day of heavy fighting there. Fr. 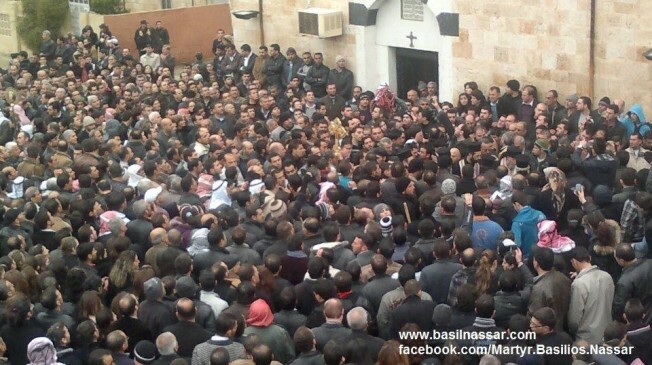 Basilios was at the Metropolis when he was informed by a phone call that a parishioner of his was shot and needed assistance. 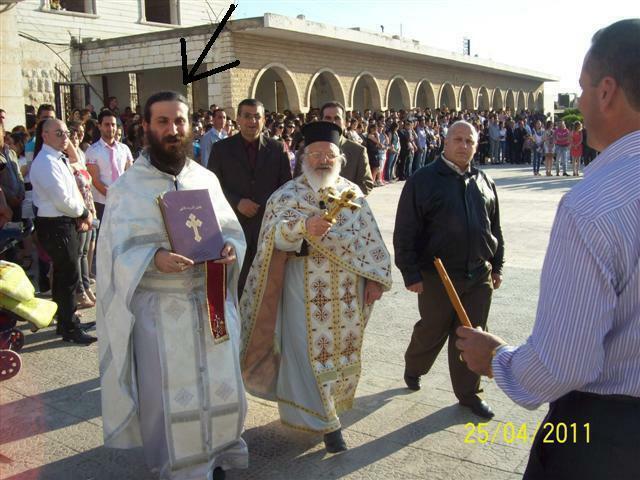 The Patriarchate of Antioch has reported that the 30-year-old priest was shot while giving medical aid to the wounded man who was previously shot. Fr. Basilios was shot in the chest and in the right armpit. 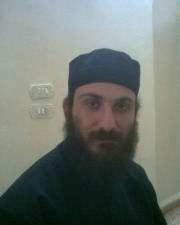 Immediately another priest, Fr. 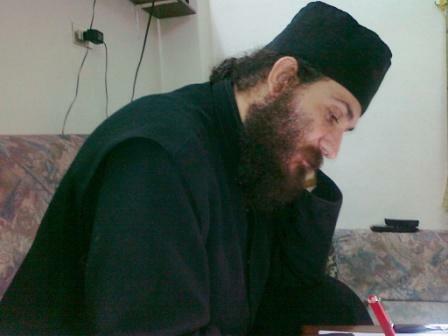 Panteleimon Isa, who was with him dragged his bloody body to a nearby building to save him, but the martyr for Christ Father Basilios was dead within 30 minutes from hemorrhaging. 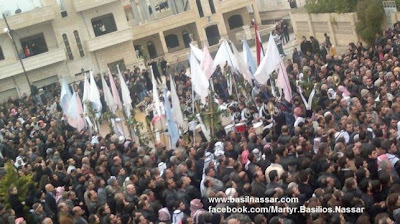 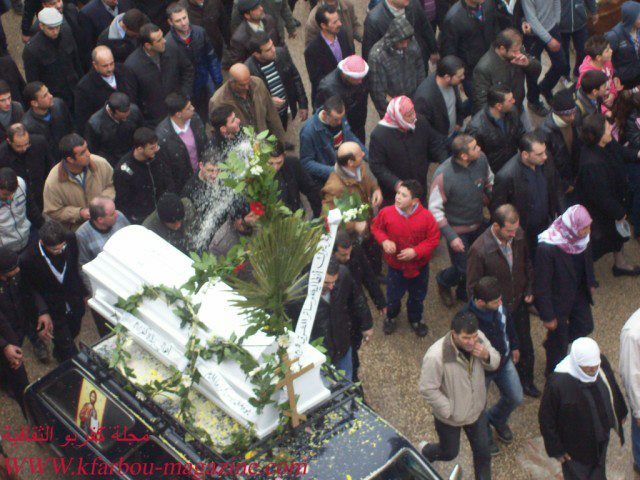 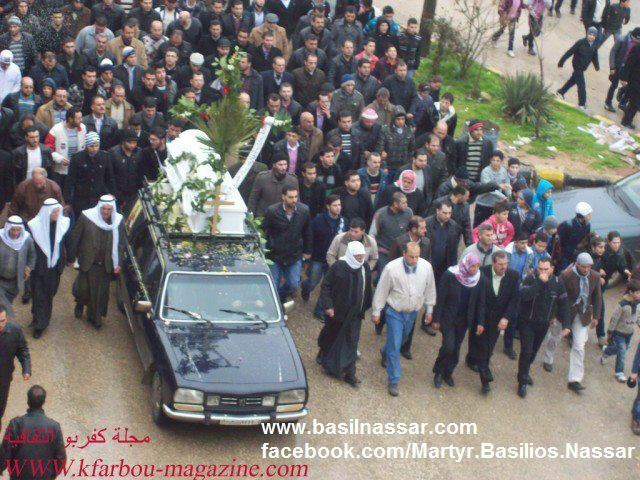 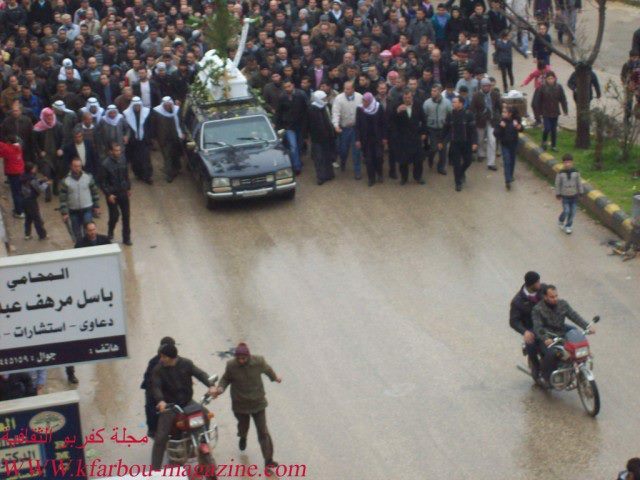 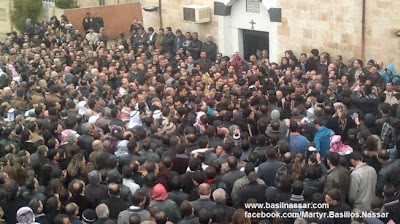 His funeral took place today, January 26th, in the Church of Saint George in Hama. 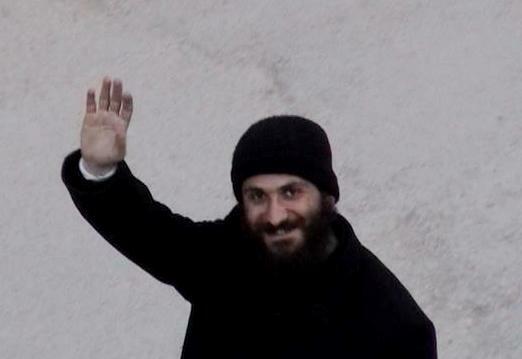 The blessed Father Basilios, known in the world as Mazin, was born in 1982 in the village of Kfarmpo in Hama and was a graduate of the Theological School of Balamand. 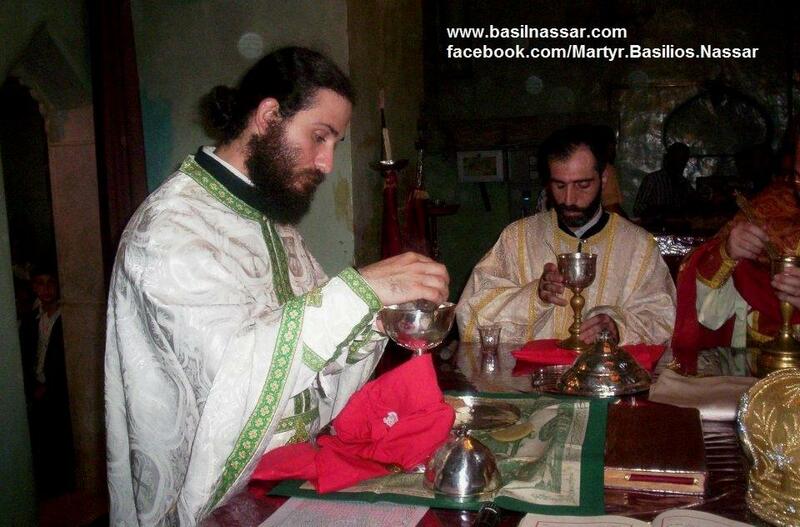 He was also a teacher of Byzantine Music in the school Saint Kosmas the Melodist which he founded in the Metropolis.